Apples, foliage, layering — these are the hallmarks of autumn. But pumpkin is undoubtedly one of the things we totally crave come the fall months, whether it's in our lattes or our candles. Since we're looking to take our gourd obsession to the max, we've got our eye on these pumpkin cocktails by Kahlúa's new Pumpkin Spice Rum and Coffee Liqueur. Check out the easy-to-make recipes, and kiss those summer margaritas goodbye. 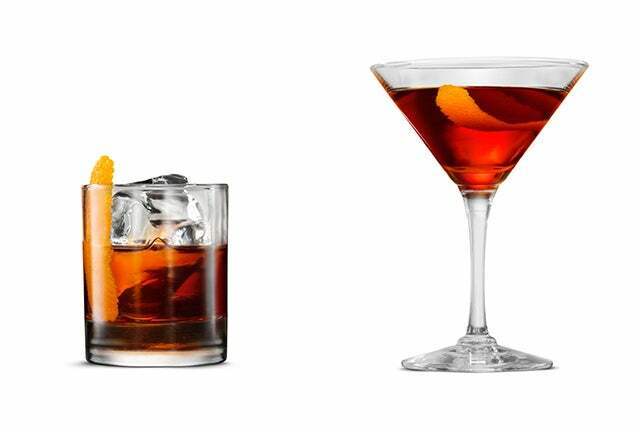 Serve in an old-fashioned glass with a large ice cube. Combine ingredients in a cocktail shaker with ice, shake and strain into chilled martini glass. Garnish with orange zest.